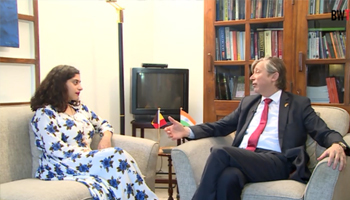 Following the election of Emmanuel Macron as France’s new President, the Consul General of France in Mumbai, Yves Perrin, said his country was open to hosting more Indian students. 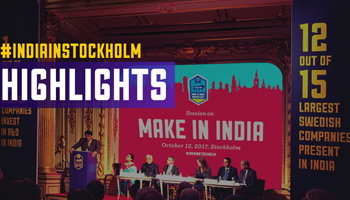 The 11th edition of the Sweden India Nobel Memorial week recently hosted the Mumbai leg of an all-India quiz in the city's Wellingkar Institute of Management Development and Research. Winners of these quiz will eventually advance to the final of the event where the winner is given an all-expenses paid trip to Sweden. 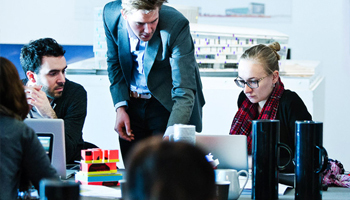 Engineering students from India are increasingly looking to Sweden as an option to further their studies, especially those pursuing a career in the Information and Communication Technology (ICT) field. 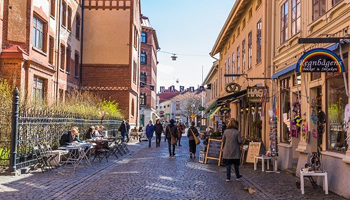 Sweden's overall unemployment rate stood at 7.4 percent in October, down from 7.6 percent at the same time last year, according to new statistics from the Swedish Public Employment Service. India and Sweden have shared a long-standing relationship for over two decades. Mutual economic interests have always served as a key driver, though trade ties have been significantly enhanced in the last few years. India and Sweden are looking to speed up visa processing for both tourism and work permits to complement their growing business ties. Air India launched a direct New Delhi-Stockholm flight on August 16, a move that will facilitate travel between the two countries. 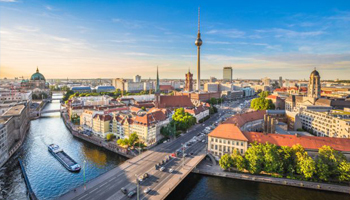 The doubling of the number of Indian students heading to Germany within four years has been trumpeted by the Indian press, offering a sharp contrast with the dramatic fall in the numbers choosing the UK. 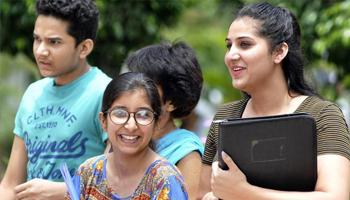 In the past decade, India has witnessed a rise in number of students aspiring to fulfill their higher education in overseas study destinations. With constant development in the field of education, coupled with improvement in standard of living, many families in India are now capable of considering the choice of allowing their children to pursue their studies abroad. 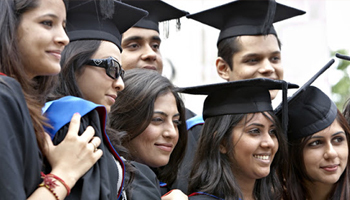 As the number of Indian students in Britain continues to dwindle, there are indications the figures are growing in other European countries such as Germany, where the latest statistics put their count at 13,740 – thrice the number in 2010. 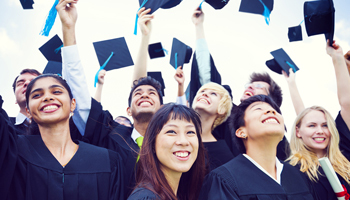 Did You Know that International Students in Germany Stay on After Graduation? Many students choose international education because it offers a chance to live abroad, but what if you want to stay in your host country when you've finished your studies. 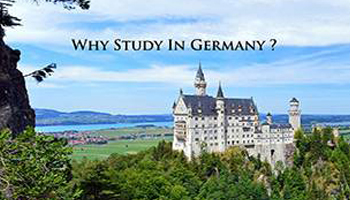 Well, if you choose to study in Germany, your chances are good. There has been a record growth in the number of Indians studying in Germany. The year 2014-15 had 11,860 Indian students enroll in German universities, a massive increase of 23% over the figure of the previous year. The number has more than doubled in the past four years. 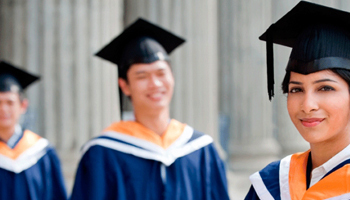 Universities worldwide have seen a constant rise in the number of Indian students enrolling for a degree away from their home country. The main reason behind their choice is the fact that the Indian job market appreciates a degree from a top international university more compared to an Indian’s Bachelor’s or Master’s degree. 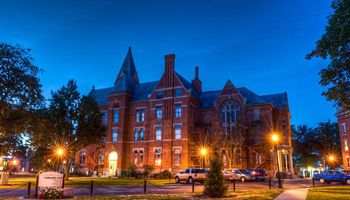 Boom or recession, with scholarship or with a loan, USA continues to be the El Dorado for Indian students dreaming of studying abroad and starting an international career. But it can’t afford to be too complacent: Australia and other countries are gradually catching up. 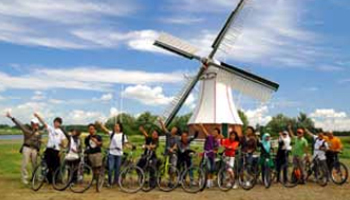 Study in Netherlands- In Netherlands, you can explore over 2100 programmes taught in English. 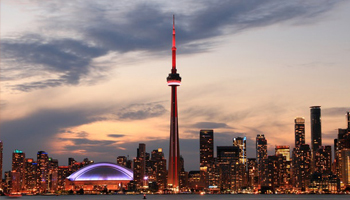 Besides the creative environment, connecting with the large number of international students, over 90,000, will certainly help you substantially when you complete your studies and begin your career search. India is one of the top five non-EU countries that have shown a significant interest in having their students study in The Netherlands. There are currently about 800 Indian students enrolled at a Dutch institution, with studies showing that this number is on the rise. 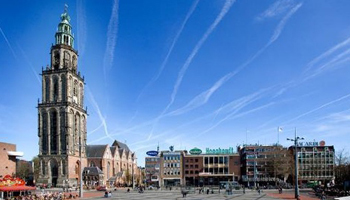 The large growth expected in the amount of Indian students seeking higher education abroad is encouraging Dutch universities to expand their efforts to attract new students. The Netherlands is in Northwestern Europe. 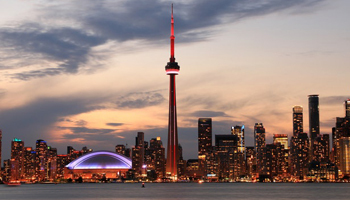 Almost half of the country that is home to over 60 per cent of its population lies below sea level. More than 2,400 kilometers of dykes shield the country from invasion by the North Sea. 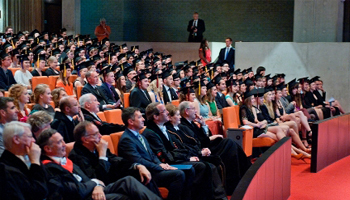 The number of international students on full degree programs in the Netherlands has doubled in the last 10 years to more than 81,000, bringing the total number of foreign students in Dutch higher education to a record high of over 112,000. In the 2016-17 academic year there were more than 112,000 international students in the Netherlands. That is the highest number ever recorded, Nuffic concludes in the analysis of the latest figures on student mobility. 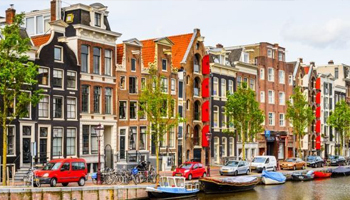 Ranked 1st in the EU and 5th worldwide for global competitiveness, the Netherlands is an ideal location for multinational companies. 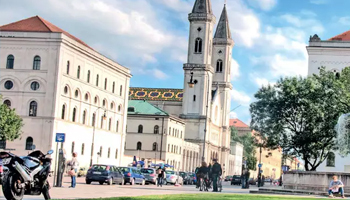 We offer a central European location, first-class infrastructure and roll out the orange carpet for foreign companies, from scouting locations to introducing high-level partners. 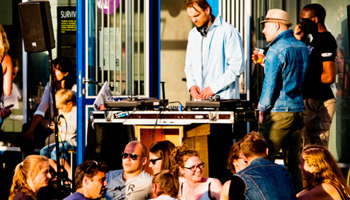 The general atmosphere in Denmark is important for potential international students because relocating to a new country can be quite stressful, especially for young people. 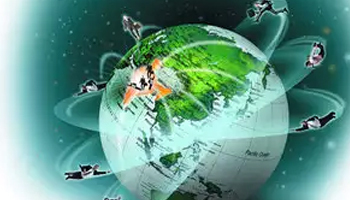 Mention study abroad destinations to any young boy or a girl today and the answers you will get are USA, UK, Ireland, Australia, New Zealand and Canada. Well, undoubtedly all these countries have been an obvious choice for billions of students traditionally. 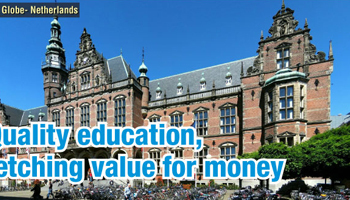 It is common for students to bet on some of the Ivy League schools or top notch universities in the U.K. when contemplating a degree abroad. 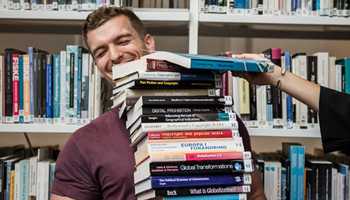 Language is one of the defining criterions when deciding on a course of study overseas, and students have largely shown a preference for studying in English speaking countries. 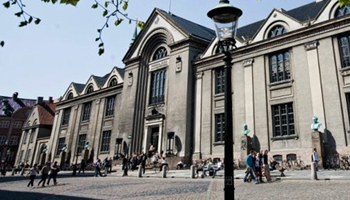 Denmark has kept up with this and offers a variety of courses in English in its top universities, some of which are ranked among the top 100 in the world. Denmark is an amazing place to study and work. 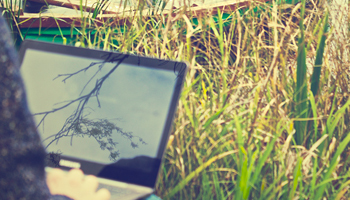 There has been growing popularity for studying in Denmark. 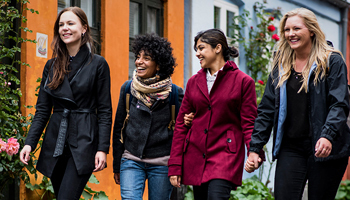 The good number of international students in Denmark serve as the best example to state that Denmark is amongst those leagues that stand big in terms of attracting foreign students. 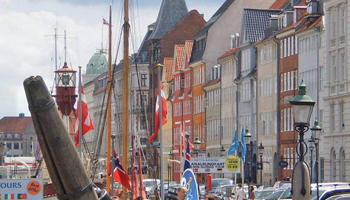 From the perspective that smaller countries need an international current to grow and evolve, Denmark shows that an international outlook benefits both society and students. 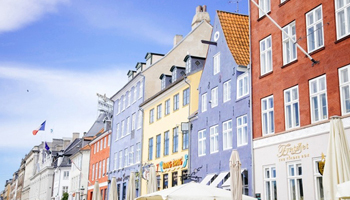 Institutions with the strongest global connections have a ‘cultural disposition’ to think beyond borders and Denmark certainly does. The Trump effect has not only deterred Indian professionals from applying for jobs in the US, it seems that even city students are looking at other countries for their higher education. 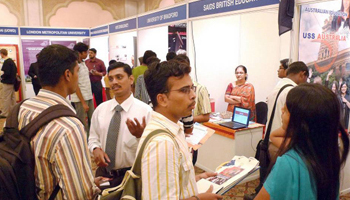 Till now, the US has been the most preferred destination for Indian students. There are countries in the world where you can feel comfortable in your own skin, find a thriving, active queer community, and be out and proud of your gender identity and sexual orientation. A new set of rankings for seven different engineering subjects has been released by the Shanghai Ranking Consultancy. 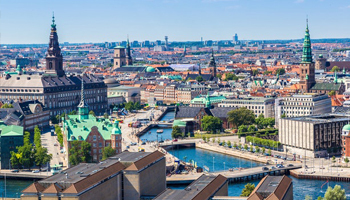 Denmark is only surpassed by England and Germany, but measured per capita Denmark leads the top 100. 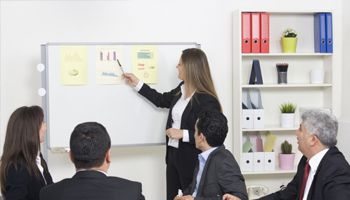 18 of Europe’s top 100 workplaces with the most content employees are located in Denmark. 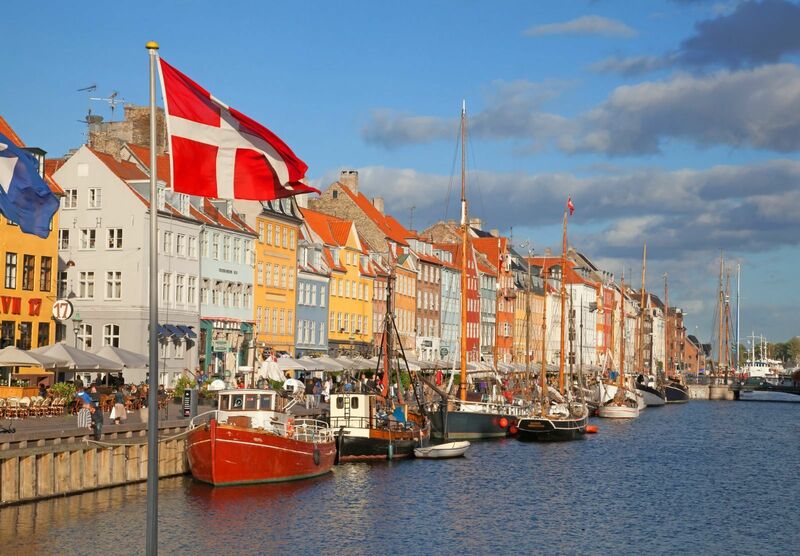 Denmark is only surpassed by England and Germany, but measured per capita Denmark leads the top 100. 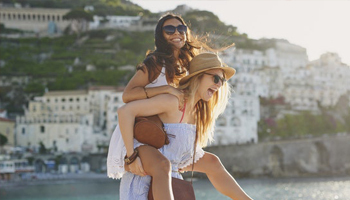 Besides the obvious reasons, such as delicious food, charming streets, diverse natural landscapes and history oozing from every crevasse, studying in Italy is sure to provide more than meets the eye for any study abroad student. 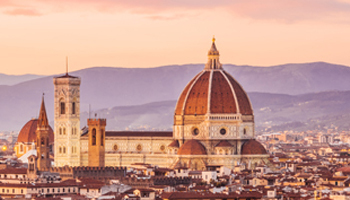 With a varied selection of courses and disciplines, international students in Italy can take advantage of all this country has to offer, while pursuing credits in their designated field of interest. 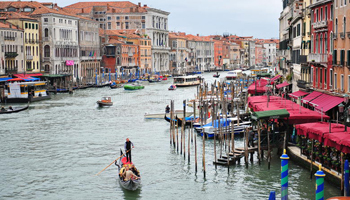 Located in Mediterranean Europe, Italy is a country of great beauty and culture. Its splendor lies largely in the deeply-rooted history which has formed its traditions and way of life, from the classical music to the flavorful food; the energetic cities to the peaceful villages. 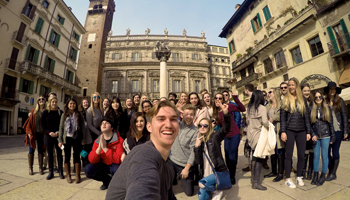 International students consider Italy a great country for international study experience. Almost 7,000 students worldwide shared their impressions about studying in universities in Europe, on the world’s largest database of international student experiences, STeXX.eu. 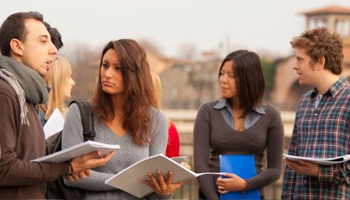 The Italian Government awards scholarships for studying in Italy both to foreign citizens and Italian citizens resident abroad (IRE) for the Academic Year 2017-2018. Following our recently released report on Trends in International Student Mobility, we’re taking a closer look at what the data collected reveals about prospective international students in specific countries. 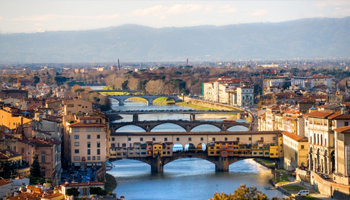 First up, here’s a look at what surveyed students in Italy told us about their preferences and aims when making decisions about where and what to study abroad. Tuition Fees in Italy are generally lower than in other countries in Europe. 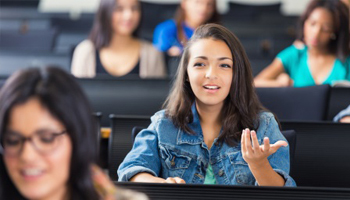 Institutions of higher education in Italy establish their own tuition fees, but in the case of university education, there is a legal minimum cost for enrollment and a maximum cost for student contributions, which cannot exceed 20% of state funding. 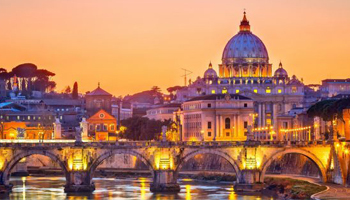 Italy is a popular international study location not just due to its high multicultural ambience, but the country also has several top universities. 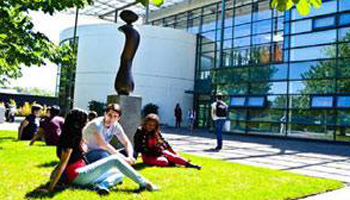 Ireland attracts a large number of foreign students each year due to its excellent reputation for education and welcoming culture. 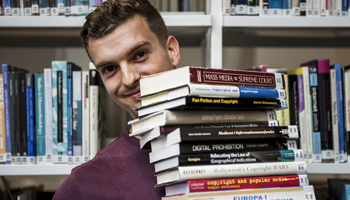 Ireland being part of the EU also helps to make it easily accessible for many students from inside the EU. 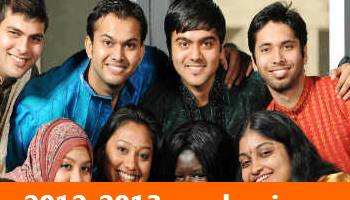 Why are Indian Students’ Numbers Increasing in Ireland? Brexit has undoubtedly been a knock-out for the UK. It has pushed Ireland forward in the European and world-wide market, being the only other English-speaking EU country. And Ireland was ready to step forward. In an article issued in The Irish Times at the end of March 2017, Carl O’Brien writes that figures show the volume of international students (and in particular of Indian students) applying to UK universities is falling, whilst it has already increased by 17% for Irish universities in 2017. 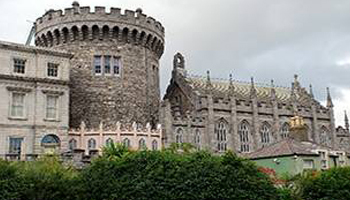 The safe and welcoming ecosystem of Ireland besides its excellence in the academic field are some of the primary reasons that attract Indian students. 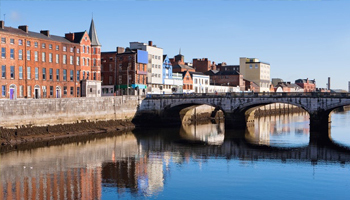 Ireland is considered as one of the safest and friendliest countries in the world. 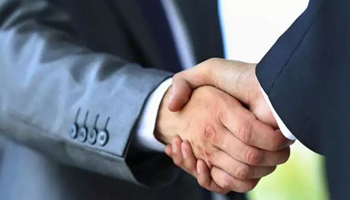 In recent times, India has become one of the fastest developing nations in the world, and is considered to be one of the biggest economies globally. Its progress has trickled down to most citizens as well, with more and more people now able to afford several basic things, which until a decade ago, were considered luxury. One such aspect is education. 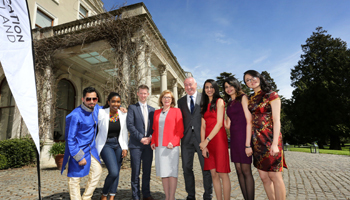 Ireland is emerging as a top destination for Indian students going to study abroad. 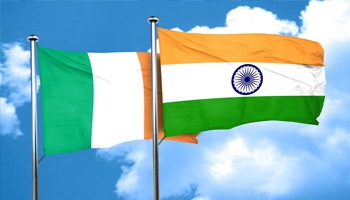 “There are already over 2,000 Indian students in Ireland and the figures are going up every year,” said Barry O’Driscoll, senior education adviser, Education in Ireland. 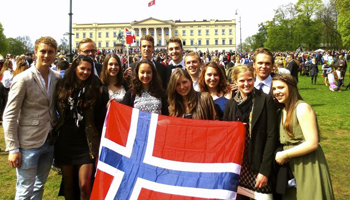 Norway is becoming a popular study destination among international students. 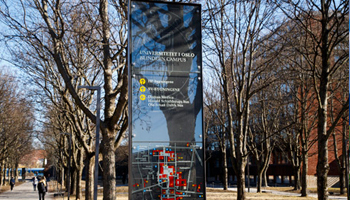 An increasing number of Norwegian universities and university colleges are offering Bachelor’s and Masters programmes in English. 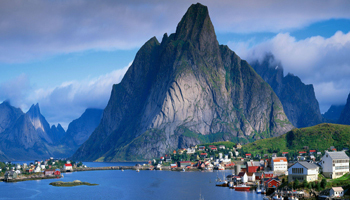 Norway has one of the highest standards of living in the world, which means that it is also one of the most expensive countries out there. 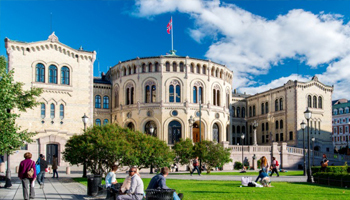 However, when it comes to education, Norway can pride itself in high quality, with students not having to pay tuition fees at any level, especially Bachelor's. Students from Iceland, Denmark, Sweden or Finland do not need a student visa for Norway, and do not need to register with the police. 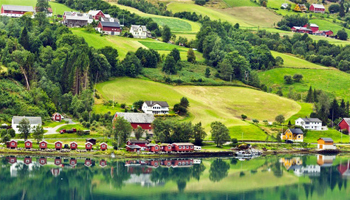 However, if you plan to study in Norway for more than six months, you must report to a tax office in Norway for an ID check and to report your move to Norway. Citizens in all Nordic countries have access to free higher education by virtue of a social philosophy (and tax structure), which holds that income differentials should not affect the right to a good education. But in recent years, the region has been split on whether students from outside the European Economic Area (EEA) should pay tuition fees. As of this writing, Sweden and Denmark require tuition fees from such students, while Norway, Finland, and Iceland do not. 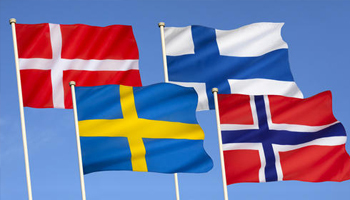 Nordic nations once again dominated the annual International Student Satisfaction Awards in 2016, with Norway leaping seven spots from last year’s ranking to claim the top spot. Belgium is often overlooked as a country of immigration because of its size and its less known history of immigration. Yet over the last three decades Belgium has become a permanent country of settlement for many different types of migrants. Migration, asylum, and integration policies have largely been responsive in nature, reacting to circumstance, rather than pursuing a long-term vision. 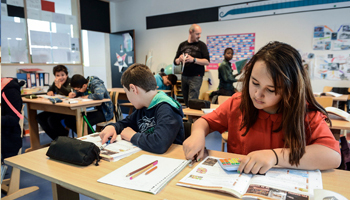 The Belgian school system can seem complex at first due to the variety of childcare and education options in Belgium that expat families need to consider. 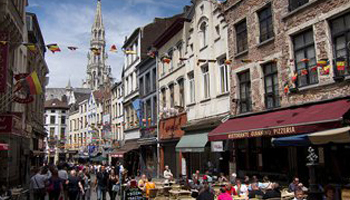 Located in the heart of Western Europe, Belgium enjoys a key position in the European Union, with the country's capital Brussels which also serves as the EU capital. 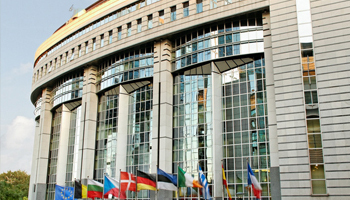 As one of the six founding members of the EU, it houses many national and international organizations. Education in Belgium ranks third-best among the 35 OECD countries, well above the EU and world averages, with the highest level of pre-school participation, good teachers and a broad and flexible higher education system. 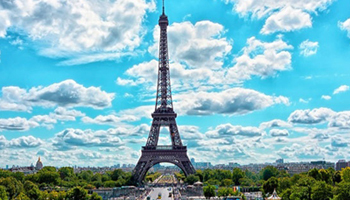 The ranking is based on a report by the Organisation for Economic Co-operation and Development (OECD). 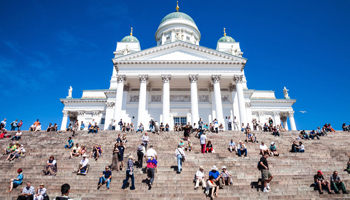 A new project out of Finland has set an ambitious target of attracting 100,000 international students to study at Finnish universities – more than triple the current number – in an attempt to boost the country’s international profile. 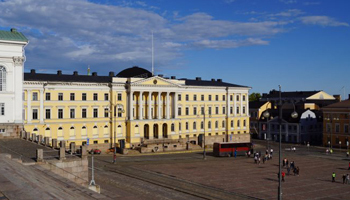 Finland Is Helsinki catalysing innovation in higher education? Last month saw the opening of the newly expanded ‘Think Corner’ at Helsinki University, which it describes as a “meeting place for science”. Finland is facing a sharp drop in applications by non-European Union and European Economic Area, or non-EU/EEA, students and an outflow of scientists, according to media reports. The introduction of tuition fees for international students and cuts in university funding are being blamed. The Lappeenranta University of Technology (LUT), along with four other Finnish higher education institutions and education export company Edunation's International, wants to bring 150,000 new foreign students, Chinese and Indian in particular, by 2020. Times Higher Education released its European Rankings for 2018. 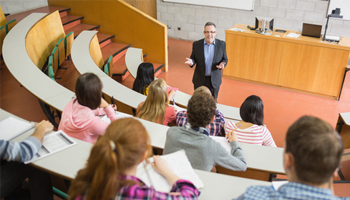 The recent years have seen a steady increase in the teaching quality and research in Scandinavian countries, especially in Finland and Sweden. 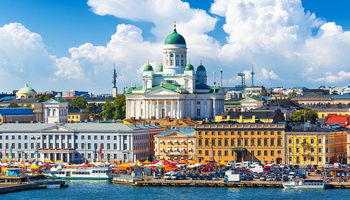 Finland is one of the northernmost countries in the world, and while it may be off the beaten track this Nordic country is anything but insular. 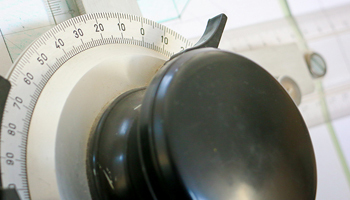 Finland leads the world in education, government transparency, stability, and saunas. 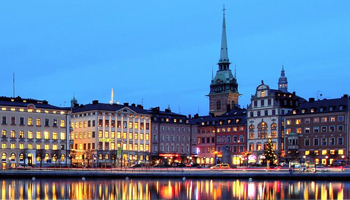 But what makes Finland the perfect destination for an international student? 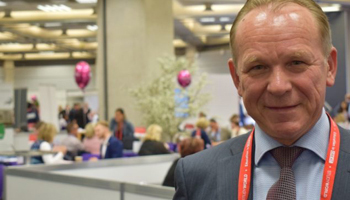 We asked Mats Engblom from the University of Helsinki to tell us what makes Finland special. The demand for English language I would say today, it is stable. Maybe over the last two years there was a little decrease in the demand for adult language courses. As for the junior market and young adults, it is increasing year on year. This year our company has an increase of about 80%, and for the next year we see the forecast increasing again. 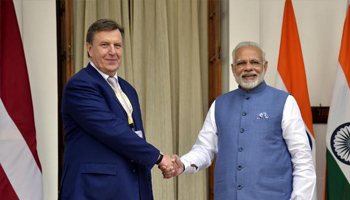 The International North South Transport Corridor (INSTC) will help make Latvia a gateway for Indian goods entering northern Europe, the Baltic region and Belarus. 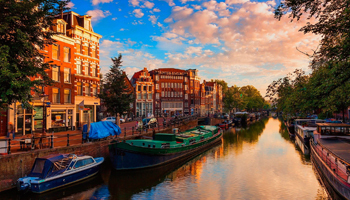 5 Reasons Why Studying Abroad in Eastern Europe Is Better than You Think! I won’t condemn people who believe the worst about Eastern Europe. According to popular belief, all of them speak Russian or a very Russian-esque accented English, have gloomy attitudes towards life and a very strict diet of Borsch, cabbage and potatoes. On top of that, one of the countries has vampires. 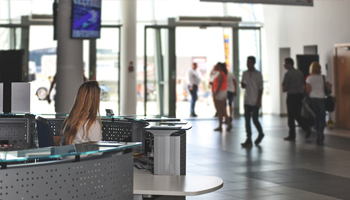 Employment Rate in Latvia increased to 63.60 percent in the third quarter of 2017 from 62.60 percent in the second quarter of 2017. 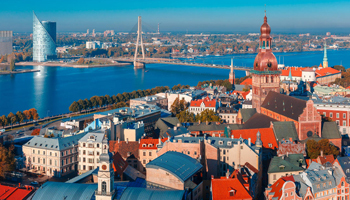 Employment Rate in Latvia averaged 57.50 percent from 2002 until 2017, reaching an all time high of 63.60 percent in the third quarter of 2017 and a record low of 50.80 percent in the first quarter of 2010. 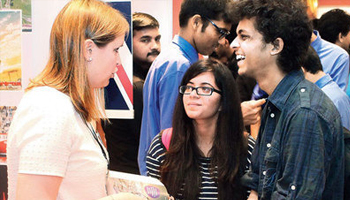 Study in Europe at an Indian cost is the buzz word. With fees ranging between Rs. 1 lakh to Rs 1.5 lakh and upwards, higher studies in Latvia is among the most cost effective in Europe.